On June 24, 1947 civilian pilot Kenneth Arnold reported seeing nine flying objects. He described these objects as “saucer-like” and “a big flat disk”. Media came up with new terms such as “flying saucer”. This was a historical event especially when it comes to the terminology. The acronym UFO (Unidentified Flying Object) was coined by Captain Edward J. Ruppelt, because he thought the term “flying saucer” was misleading. However, the term UFO is still often used to refer to claims of alien spacecraft. Therefore in this article I will use the term UFO while referring to claimed alien/extraterrestrial spacecraft. UFOs and aliens are very popular. Just google some recent news or articles and you will find tons of hits with alleged UFO sightings, aliens, men-in-black, abductions and so on. You can also find a lot of UFO related channels on YouTube. 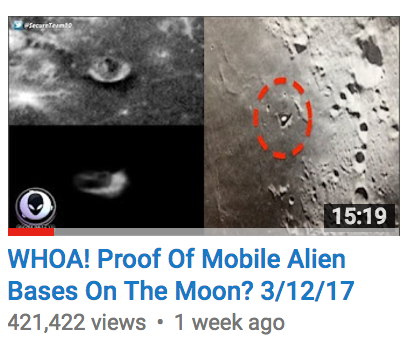 Despite the fact that there is no scientifically valid evidence that UFOs or aliens are visiting the earth, the YouTube UFO channels keep pushing new videos constantly. Popular topics include: Google Earth sightings, objects near the International Space Station (ISS), structures on the Moon and Mars, UFOs in webcams and NASAs STEREO (Solar TErrestrial RElations Observatory) images. Many UFO channels are not trustworthy. Here is a good (black)list created by the UFO Theater – they are one of the good ones. You can follow UFO Theater on Twitter, YouTube and Facebook. I have learned that initially Secureteam 10 published some clear fakes, including photoshopped images but has changed their approach after the number of subscribers increased dramatically. Currently they have over 828K subscribers on YouTube. Here is a video by UFO Theater from 2015 called On The Wings of Fail: Secureteam 10. I suggest watching this video first, because it debunks some obvious fakes. Not to mention the case of “witness” called Ken the Astronomer who turned out to be the host and owner of the Secureteam 10 channel, Tyler Glockner himself. After stunts like these and reactions like this, one would expect the channel would lose subscribers quickly. That didn’t happen. Quite the opposite: the number of subscribers have been growing steadily. There is an explanation to the large number of subscribers this channel has: tabloid media. 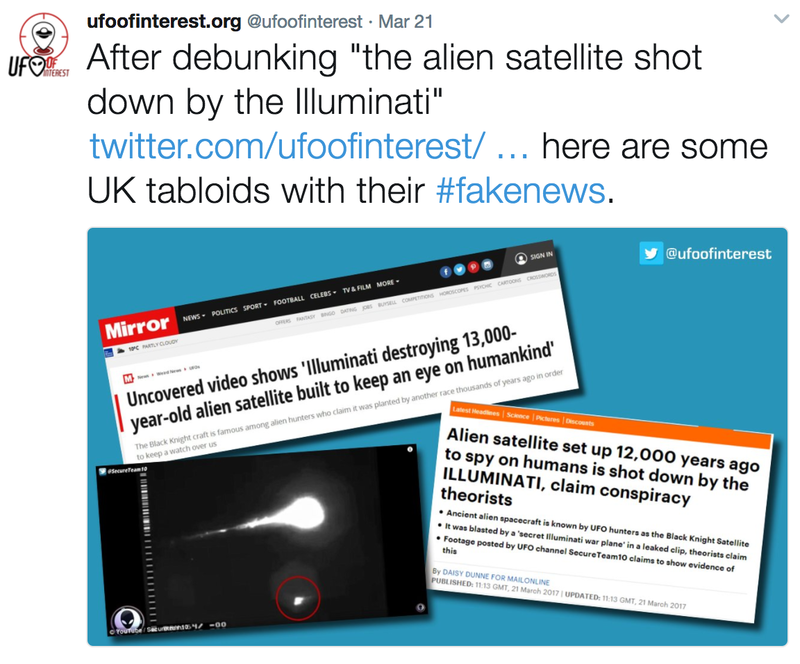 Some media sites publish almost any claim made by Secureteam 10. Media uses click-bait headlines in order to get views and money via online ads. 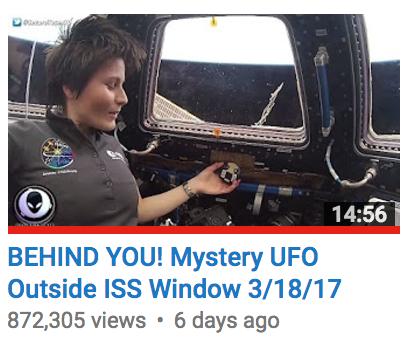 At the same time, Secureteam 10 channel gets more views, subscribers and money. 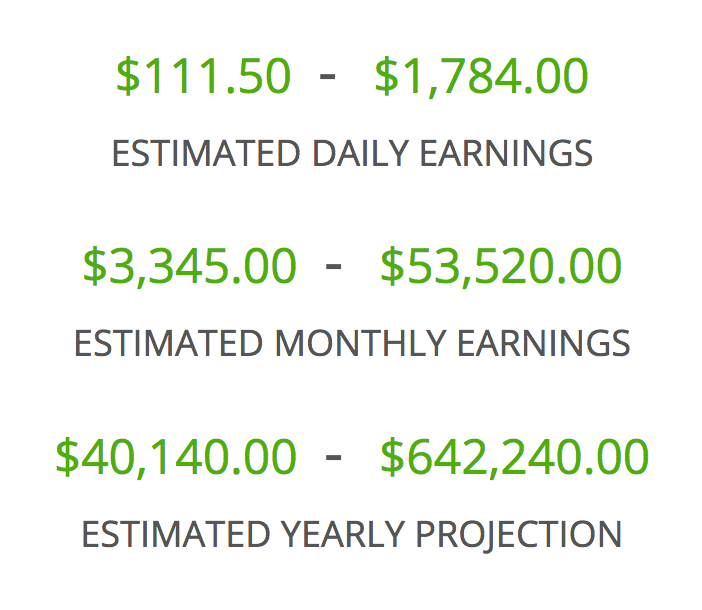 Below you can see the estimated earnings for the Secureteam 10 YouTube channel via Social Blade. Note that these are just a rough estimates provided by one tool. There is of course nothing wrong in making money from YouTube videos, but I believe money is the main motivation behind many UFO YouTube channels. How about the more recent videos by Secureteam 10: do they contain credible UFO research? Below are some examples with references to the videos in question. Suddenly this turned into “ILLUMINATI destroying 13,000 year-old alien satellite”. Apparently tabloid media is not interested in basic fact checking. It is not that difficult to locate the Hayabusa capsule re-entry video. This is a typical ISS UFO claim. Most likely caused by ice particles. According to NASA objects like this can be considered as a bunch of space garbage. This video was also debunked by UFO Of Interest on Twitter. The alien moon base video actually shows two known lunar craters and some image artifacts. 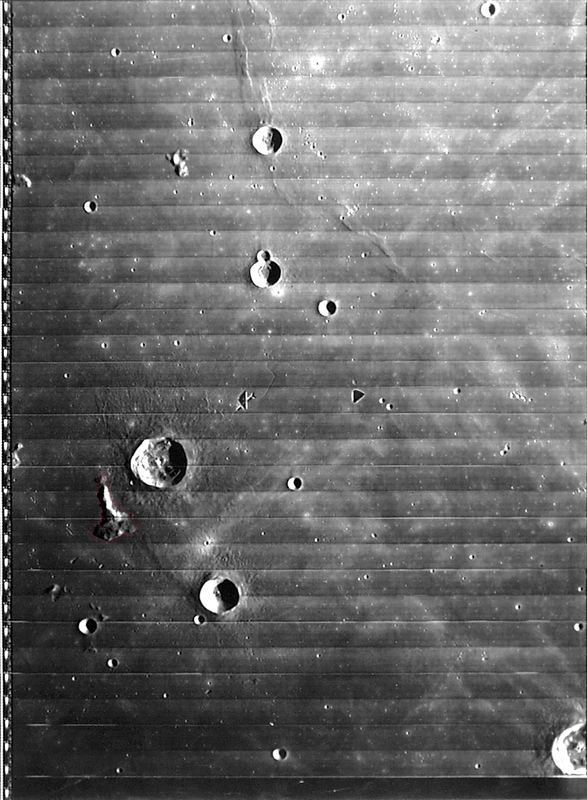 You can find a lot of image artifacts from the old lunar orbiter images like this one. NASA’s Lunar Orbiter images from 1966-1977 cannot be compared to modern digital images when it comes to quality even though they are still awesome. The Chilean Navy UFO case (January 2017) was very interesting. Secureteam 10 made an “ASTONISHING” video soon after the footage was released. Real research doesn’t happen overnight. The flying object remained unidentified until Metabunk solved the case: it was an airplane. Mick West, founder of Metabunk, and several other persons did a lot of work and research to solve this case. 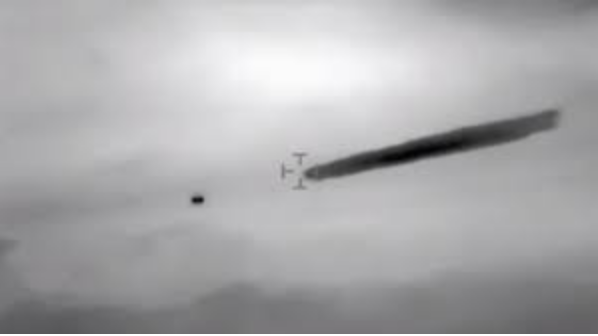 Secureteam 10 video didn’t contain any research and concluded that this object was an UFO, “obviously not from earth” and “not to mention they have the ability to cloak themselves”. I could go on and debunk hundreds of videos, but I think you got the point. 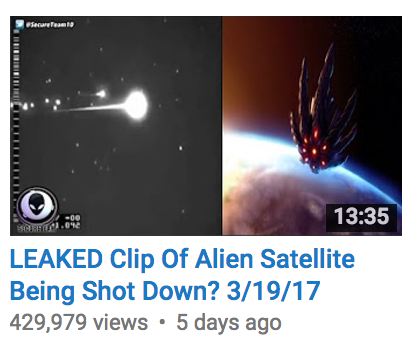 Even if Secureteam 10 has stopped using fake images, the channel content could be described as misleading. Secureteam 10 claims to be a researcher, but that is obviously not true. Pick any video from the channel – or watch all of them – and you will find out that there is no actual research done by Secureteam 10. A researcher would perform basic fact checking, analyze matters from different perspectives, use multiple sources and also accept critique. This channel never responds to critics, for example via discussion or debate. They choose to be quiet or simply block the offending accounts. Critics may receive comments like “Hater!” or “You are just jealous” from the fans of Secureteam 10. Secureteam 10 is just one of the many UFO channels out there. I could have written about “streetcap1” or “UFO Sightings Daily”, too. Perhaps some other time.